The world is evolving. Evolve with it. It’s 2018, and millennials are proving they can make almost anything into a million dollar venture. They’ve even found a way to make money out of posting screenshots of celebrity comments on Instagram. With an Instagram following of more than 800k, Emma Diamond and Julie Kramer have made a successful venture off humanizing celebrities and making them more relatable. Millennials are destroying the status quo by making a living off things previous generations would have considered ridiculous. If you’ve ever wondered how your internet faves like Liza Koshy, Lilly Singh and Andrawos Bassous, among others, got started, you’re in the right place. 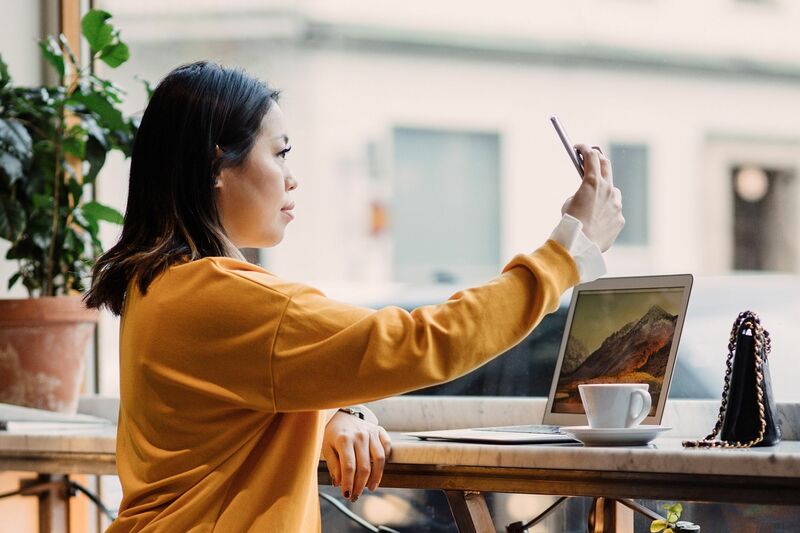 Here are 10 pointers that will help you turn your hobbies into a successful business just like your favorite millennial celebrities. 1. Don’t be afraid to start. All successful people have one thing in common. They started something. Just like you, a lot of your favorite millennials were afraid to start too. They had questions. Will anyone like my videos? Will they even find me funny? What if I don’t get any views or likes? Look at it this way; you’ll never know if you don’t start. 2. Whatever you do, do consistently. Even Singh had a hard time starting out. According to MTV Base, only 70 people watched her first YouTube video. Fast forward a couple of years later, Singh has more than 14 million subscribers. The secret to winning is consistency. Starting anything can be lonely and disappointing, especially when there are so many people who seem to be doing the same thing as you. But on the bright side, YouTube is reported to have more than 1.8 billion users and Instagram has more than one billion active users. This means no matter the number of content creators in your niche, there’ll always be people who’ll appreciate your content. Keep putting out quality content consistently, and your business is sure to grow. Famous Instagram model Abigail Ratchford was able to triple her following in less than two weeks by doing something she learned from Kate Upton. Learning from others does not mean you should find the next successful person and imitate everything they do. You have to be yourself. If not, you’ll get tired quicker, and you’ll never be able to attract your audience. Plus, people will notice you're a copycat. Millennials don’t like content thieves. 4. Let the world know what you do. It requires more than good content to build an audience, especially when starting out. You must do your due diligence to share your work as much as possible. Advertising anything has never been cheaper or more comfortable. There are multiple social media platforms you can use to promote your business. If you don’t know how to utilize social media, you can read articles, watch tutorials, or take an online course. When you’re confident in your craft, you’ll appreciate and effectively utilize every opportunity you get to share it with a broader audience. 5. Keep your audience engaged, and overlook negative comments. It’s 2018, and some people still haven’t joined Twitter because of their fear of backlash. Honestly, we can’t blame them. The internet can be a scary place. It’s normal to have people try to rain on your parade. However, It’s helpful to always focus on the love and positivity that your fans and supporters show. Your audience is your greatest asset, and you have to treat them as such. Providing consistent content isn’t always enough. Sometimes, you need to reply to comments and tweets. It would help if you also considered their content suggestions. Let them know you pay attention and appreciate their support. 6. The world is evolving. Evolve with it. Vine used to be one of the biggest platforms for millennials to create and share excellent content. KingBach, Alessia Cara, Justin Bieber and Ariana Grande were all Vine stars. Today, other platforms like YouTube, Musical.ly and Instagram have stolen all the attention. The tech industry is ever evolving, and people are creating new social media platforms every day. If you notice the big guns trying out a new platform, it won't hurt to try it out as well. People will always be ready to underpay you. When going into negotiations with brands for adverts and sponsorships, you need to know the amount of value you’re bringing to the table and charge accordingly. For example, once you hit a million followers on Instagram, you can start to charge between $ 1,000-1,500 for a sponsored post. Find out how much other creators like you are charging and charge similar rates. 8. Diversify your income stream. A common trend among millennial creators is that they never have one stream of income. They sell merchandise, do paid sponsorships, have podcasts, run YouTube channels and a lot of other things. It’s incredible how they’re able to stay on top of so many things. Apart from her YouTube business, Singh has lipstick line as well as a book. Bassous is an extraordinary photographer and musician. Read books and articles on how to diversify your income stream. Also, don’t be afraid to try out new things. 9. Don’t get carried away. Don’t be deceived into thinking that you can reduce the quality of your content when your following starts to grow. A lot of creators have lost their careers by falling into this trap. You need to see every opportunity to create content as a privilege. Your audience is a group of people who are trusting you with the time they could be spending on a billion other people. Be ready to expand your team. Fame comes with a lot of responsibilities. At some point, you may need to hire an assistant. To stay relevant, you need to keep creating good and more consistent content. 10. Have fun while you’re at it. The last tip is to enjoy doing what you do. Don’t be afraid to make changes and try out new things. If you ever feel overwhelmed by everything, take a break to rest and figure things out. Rest, exercise, eat healthy, and always keep yourself surrounded by positive energy.